We have received 16 reviews of All About Mia . You can add a review or scroll down to read reviews. To send in your review of All About Mia , please fill in the info below and click the button labelled Send Review Now. Reviews will be checked by our team before they appear on the website. Your last name will not appear on the site, but we need to know who you are in case you win a prize! Lisa Williamson was born in Nottingham in 1980. She spent most of her childhood drawing, daydreaming and making up stories in her head (but never getting round to writing them down). As a teenager she was bitten by the acting bug and at 19 moved to London to study drama at university. Lisa lives in Walthamstow, where she is lucky enough to split her time between writing and acting. In her spare time she reads a lot of books, continues to daydream and eats way too much ice cream (all good). Mia Campbell-Richardson, 16, is ballsy, gorgeous and kind of a disaster. Unlike her brilliant sisters, academic Grace, 19, and champion swimmer Audrey, 13, middle child Mia has no idea what she wants to do with her life. Struggling at school, and unable to deal with her parents' easy acceptance of perfect sister Grace's fall from grace, Mia goes into a tailspin. 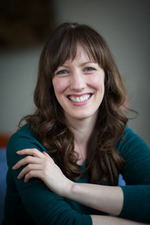 Lisa is an experienced Leeds Book Awards author. Her first book, The Art of Being Normal, won the 14-16 category at the awards in 2016. Definitely 5 out of 5! I really liked how how Mia( who originally felt unnecessary)found her purpose and really saved the day! I liked all 3 of the sisters and how unique they were compared to each other, and their totally different interests and skills. I'd definitely recommend reading this book despite your usual book type as it was just so good!!! Kaitlyn gave All About Mia 5 out of 5 and now plans to read Countless by Karen Gregory. I found this book and the storyline really funny. I found that Mia was relatable in some ways. I loved the ending as it had me want to keep reading more. Grace gave All About Mia 5 out of 5 and now plans to read Thornhill by Pam Smy. I really respect Lisa Williamson as an author and have hugely enjoyed her writing in the past! But honestly, following Lisa Williamson’s wonderful writing in ‘the art of being normal’ I was disappointed by the dry storyline and dull language in All About Mia. I feel that this book is written in the typical ‘teen fiction’ tone that adults use to address children in outdated language. The use of technology in the book is already outdated and the language is too simple. The plot and relationships between the characters are slightly dull and filled with unfulfilled potential and the characters are frustratingly shallow and hard to root for as their lack of depth made me feel indifferent to what happens to them. For me to enjoy a book I have to understand and/or respect the motives of the protagonist; in this book I felt that Mia was not relatable or likeable and this was a huge block for me. However, some of the scenarios were rather comic and made me smile! Overall, I felt disappointed with this book. Cecile gave All About Mia 2 out of 5 and now plans to read Countless by Karen Gregory. When I started this book, I felt like at first it wasn’t for me, but once I’d got past the first few chapters, I began to enjoy it more. Mia is a middle child who is struggling to find herself, between her older sister’s genius, and younger sister’s talents for swimming. 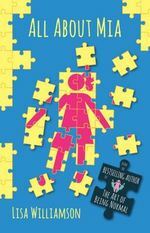 I felt like it was quite an exciting book, and a nice, fun, easy read, but having enjoyed ‘the art of being normal’ so much, I has set my expectations ridiculously high, and found ‘all about Mia’ a little bit too predictable and think it will age too quickly. Maddy gave All About Mia 3 out of 5 and now plans to read The Crash by Lisa Drakeford. I did not enjoy reading all about mia. This is because i did not follow a specific plot line. As well as this, All About Mia did not portray teenage life in a realistic way and instead enforced teenage stereotypes such as teenagers always partying and getting drunk. I feel that instead of enforcing these stereotypes the book could of been furthered by following an obvious plot line and relying lesson enforcing stereotypes. Deaven gave All About Mia 1 out of 5 and now plans to read Countless by Karen Gregory. This was probably my favorite book so far that I've read from the shortlist. I found it could be relatable for many different people and not only those who are middle children, it was predictable at times but constantly kept you guessing and I found myself unable to put it down. Tessa gave All About Mia 4 out of 5 and now plans to read Thornhill by Pam Smy. Hilariously, this book explores being average in a family full of extra-ordinary people. Mia is a relatable character, but I found myself relating to Grace and Sam more. Each character had multiple elements and were explored in depth, which cleverly created an intriguing story. River gave All About Mia 4 out of 5 and now plans to read Countless by Karen Gregory. over-shadowed and that she can never live up to people's expectations, which, as a middle child myself, I can understand. We gradually warm to each character and I think, in the end, Mia does to. Though Mia hardly lives a perfect life, and this book is filled with mistakes, tears and hardship, ultimately it teaches us that life is about accepting your imperfections and moving on. Poppy gave All About Mia 4 out of 5 and now plans to read Countless by Karen Gregory. I was slightly let down by this book. I had high expectations for this book after reading the art of being normal (which, by the way, is an amazing book that completely changed my life and gave me a lot of confidence) However, this story about Mia is certainly a well written book. The ending is good but the middle seems to not really have much plot. It does have intense scenes which are quite exciting. I recommend this book because people can relate to it a lot. Kiera gave All About Mia 4 out of 5 and now plans to read Countless by Karen Gregory. Kaiden gave All About Mia 5 out of 5 and now plans to read Countless by Karen Gregory. I found this book slightly frustrating as Mia is an incredibly bad decision maker and frequently digs herself into deeper and deeper holes. Nevertheless, I found this book enjoyable and a good insight into being a slightly insignificant middle child. I think that the story was slightly more drawn out than it needed to be but overall found it a good read. Jem gave All About Mia 3 out of 5 and now plans to read Noah Can't Even by Simon James Green. Though the book had the foundations of a classic teens book about high school (popular girl put into various social situations) there was still something quite gripping about it. It may have been the fact that most kids with siblings will feel outdone done by them and relate to the characters. Because of this or because Mia was no where near as perfect as characters like her are made out to be in similar books (they are always too perfect to be realistic) but this book had something that made you want to carry on reading, other than the fact you just wanted to finish it. Hannah gave All About Mia 4 out of 5 and now plans to read Countless by Karen Gregory. Lisa Williamson has give us another brilliant book. After reading â€˜The art of being normalâ€™ I had high expectations for this book and letâ€™s jusy say that I was not let down. All about Mia is a beautifully written book that any sibling can relate to. I couldnâ€™t put it down! Caitlin gave All About Mia 5 out of 5 and now plans to read Noah Can't Even by Simon James Green. Bethany gave All About Mia 5 out of 5 and now plans to read Countless by Karen Gregory. This can be a very annoying book sometimes, especially when Mia makes poor decisions, which I wouldn't make myself. Mia is easy to relate to as everyone has felt similar to her in one way or another, feeling different or left out can sometimes cause stress and could knock your confidence. Emily gave All About Mia 1 out of 5 and now plans to read Noah Can't Even by Simon James Green. At first I thought this was just a typical boring book about a typical boring teenager but it's actually really good. The book really tackles sibling relationships and the importance of communication. I am glad the story didn't take a darker turn which I believed it would at one point. I also love how it tackles important topics whilst still having humour and emotion. The ending of this book also made me cry a lot because it was just so perfect, even after what happened, which shows that things do get better and it gives me hope for the future. Heather gave All About Mia 4 out of 5 and now plans to read Thornhill by Pam Smy.